President Donald Trump offered his latest teaser Friday for a historic U.S. summit with North Korea: The time and place have been set but he's not saying when and where. The White House did, however, announce the details of a separate meeting later this month between Trump and South Korean President Moon Jae-in, as the U.S. administration pushed back on a report that Trump is considering the withdrawal of U.S. forces from the allied nation. Trump and Moon would meet at the White House on May 22 to "continue their close coordination on developments regarding the Korean Peninsula" following last Friday's meeting between Moon and Kim Jong Un. They will also discuss the U.S. president's own upcoming summit with the North Korean leader, a statement said. Earlier this week, Trump expressed a preference for holding the "big event" with Kim in the demilitarized zone or DMZ between the two Koreas, where Moon and Kim met. 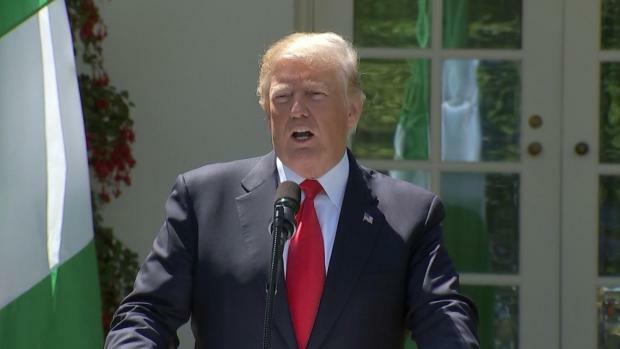 He also said Singapore was in contention to host what will be the first summit of between a U.S. and a North Korean leader. "We now have a date and we have a location. We'll be announcing it soon," Trump told reporters Friday from the White House South Lawn before departing for Dallas. He's previously said the summit was planned for May or early June. A meeting with Kim seemed an outlandish possibility just a few months ago when the two leaders were trading threats and insults over North Korea's development of nuclear weapons. But momentum for diplomacy has built this year as the rival Koreas have patched up ties. In March, Trump unexpectedly accepted an offer of talks from Kim after the North Korean dictator agreed to suspend nuclear and ballistic missile tests and discuss "denuclearization." Trump said that withdrawing U.S. forces from South Korea is "not on the table." Some 28,500 U.S. forces are based in the allied nation, a military presence that has been preserved to deter North Korea since the war ended in 1953 without a peace treaty. "Now I have to tell you, at some point into the future, I would like to save the money," Trump said later as he prepared to board Air Force One. "You know we have 32,000 troops there but I think a lot of great things will happen but troops are not on the table. Absolutely." The New York Times reported that Trump has asked the Pentagon to prepare options plans for drawing down American troops. 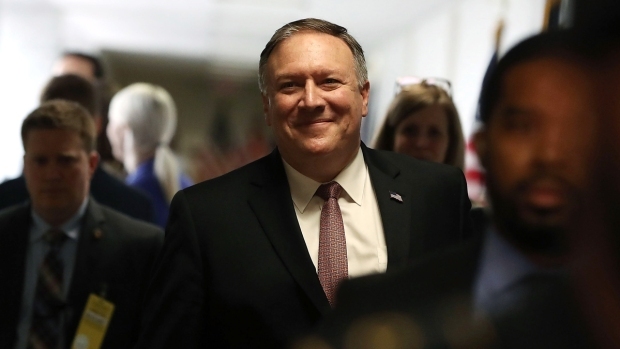 It cited unnamed officials as saying that wasn't intended to be a bargaining chip with Kim, but did reflect that a prospective peace treaty between the Koreas could diminish the need for U.S. forces in South Korea. At the inter-Korean summit last Friday, held on the southern side of the DMZ, Moon and Kim pledged to rid the peninsula of nuclear weapons and seek a formal end this year to the Korean conflict where the opposing sides remain technically at war more than six decades after fighting halted with an armistice. But for Trump to contemplate withdrawing troops now would be a quixotic move as he enters into negotiations with Kim whose demands and intentions are uncertain. Two weeks ago, shortly before the inter-Korean summit, Moon said that Kim actually wasn't insisting on a longstanding demand for the withdrawal of U.S. troops as a precondition for abandoning his nukes. National security adviser John Bolton, who met his South Korean counterpart Chung Eui-yong in Washington on Friday, called the Times report "utter nonsense." During his presidential campaign, Trump complained that South Korea does not do enough to financially support the American military commitment. In March, Washington and Seoul began negotiations on how much South Korea should offset the costs of the deployment in the coming years. Under the current agreement that expires at the end of 2018, the South provides about $830 million per year. Before Trump meets Kim, Washington is looking for North Korea to address another persistent source of tension between the adversaries: the detention of three Korean-Americans accused of anti-state of activities in the North. 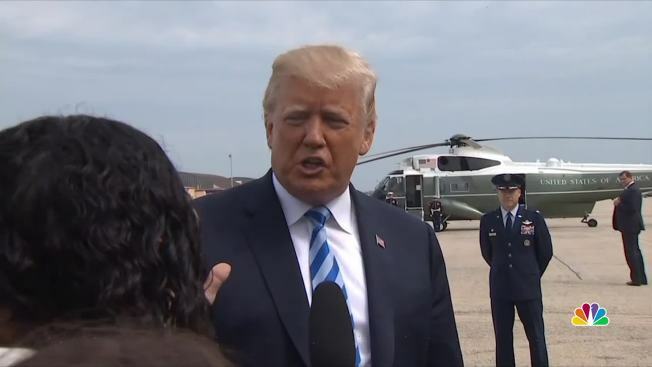 Trump hinted that the release of Kim Dong Chul, Kim Hak Song and Tony Kim was in the offing, but again was sparing on the details. 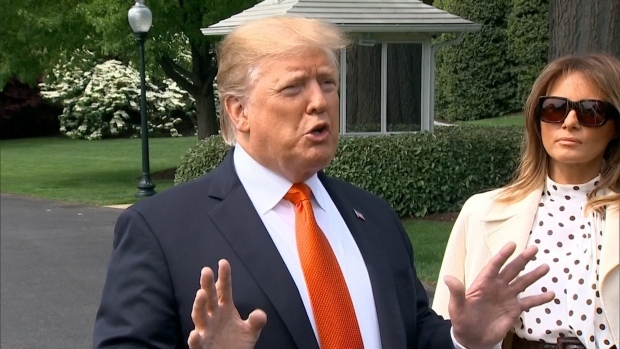 "We're having very substantive talks with North Korea and a lot of things have already happened with respect to the hostages, and I think you're going to see very good things. As I said yesterday, stay tuned," Trump said, referring to an earlier tweet on the issue.